Tampa Forklift Certification, Get OSHA Forklift Training in Just 1 Hour! Tampa’s strategic location as a deep-water port in the Gulf of Mexico makes it the perfect place to get a job as a forklift driver. Many companies throughout the greater Tampa area and Hillsborough County require forklift operators to haul, store, manage, and transport cargo in warehouses, distribution centers, retail outlets, and other workplaces. Both employees and employers Tampa forklift certification. CertifyMe.net has the best training packages for OSHA compliance, all at great prices. Tampa’s economy relies on international shipping, numerous warehouses in the city limits, busy distribution centers, and other facilities that use forklifts. Tampa forklift training and certification is essential for all city employers. CertifyMe.net, the leader in online OSHA compliant forklift training, offers a full range of training classes for anyone looking to become compliant. With our affordable and comprehensive training courses, all of your Tampa forklift certification are taken care of with CertifyMe.net. Tampa employers require forklift operators with the latest qualifications – and CertifyMe.net helps ensure you’re up to speed with all the latest OSHA safety training requirements. Affordable forklift certification in Tampa. With our budget-friendly prices, Tampa forklift training won’t break the bank – and that’s great news for employers and employees alike! Lifetime support. With Tampa forklift training from CertifyMe.net, you have an OSHA training partner for life. We’re always here to answer any questions you have, and we also provide free lifetime renewal training! Five easy steps. That’s all it takes to register, prepare, and pass your Tampa forklift certification test. And it’s all handled by CertifyMe.net – we’re here to help all of your forklift drivers get forklift certification in Tampa! Forklift certification in Tampa shouldn’t be a hassle. 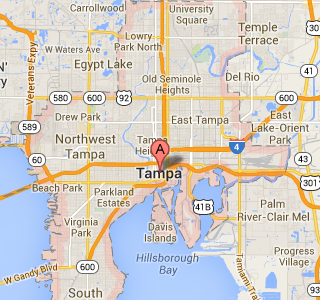 We realize that forklift drivers in Tampa are people with busy lives and hectic schedules. Thanks to our convenient training process, you can get Tampa forklift certification in no time at all! The median wage for workers with Tampa forklift training is $30,727. This is $2,379 less than the national average. The Consumer Price Index in Tampa, including rent, is 56.54, or just over half what it is in New York City. According to Numbeo.com, the Quality of Life Index for holders of forklift certification Tampa is 203.87. Positive indicators are purchasing power, safety, and health care. Don’t forget to complete your Tampa forklift certification and qualify for a great career. Tampa forklift training from CertifyMe.net is the best thing you can do for your career right now! Plus, all Tampa area employers require all operators to have OSHA certification. It’s a win-win for you and your company! Employees want to earn a nice wage as a forklift operator in Tampa. Companies only want the best-trained workers. That’s why CertifyMe.net is a popular choice for forklift certification in Tampa. We give both sides of the employment equation an advantage. If you don’t have your Tampa forklift certification, sign up today with CertifyMe.net! Tampa forklift training from CertifyMe.net is the best thing you can do for your company! Aside from the increased productivity, your employees will enjoy a safer workplace. It’s a win-win for you and your company! Most Tampa employers don’t have the internal resources, time or money to complete forklift certification in Tampa on their own. But some area training companies are too expensive, or don’t have the required OSHA insight to properly train employees. With CertifyMe.net, your Tampa forklift certification is accounted for. Sign up today and get started with the best OSHA compliant training. It’s easy to get started! The shipping industry, by both air and sea, provide ample job opportunities for forklift training in Tampa, FL and Tampa forklift certification. In fact, Tampa has a distinguished aviation history. New Year’s Day 1914 saw the first-ever passenger flight between Tampa and St Petersburg. Pilot Tony Jannus carried a lone passenger in a boat biplane. Today, the Tampa International Airport sits across the bay from where that inaugural flight touched down. The airport handled almost 17 million passengers in 2012 and is one of only two airports in the United States to serve Cuba. The Port of Tampa is an important maritime shipping hub. Currently the nation’s 16th in rank by tonnage, there are plans to further expand the container trade. Traffic here includes tankers and bulk ships, container cargo ships and roll on/roll off ships. The port also houses ship repair facilities where many forklift operators are employed. 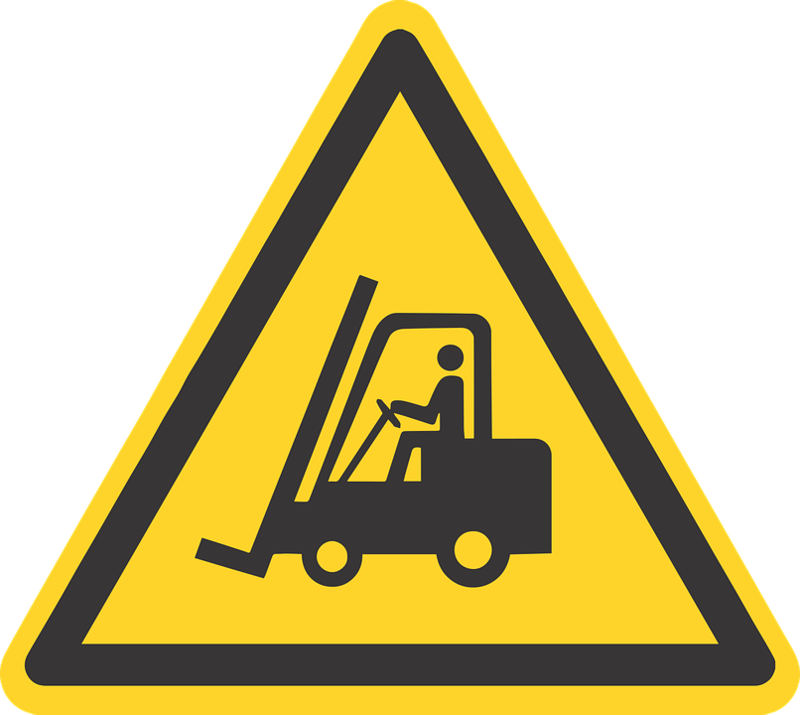 However, forklift operators need not be restricted to the obvious places to look for work. Sea World frequently advertises for people with Tampa forklift certification. From airports to warehouses to construction sites and more, CertifyMe.net is your best option for Tampa forklift certification. With great prices, outstanding selection, and lifetime support, the choice is easy! If you want to qualify for jobs with all of the great companies mentioned above, then you need to look for an OSHA-compliant Tampa forklift certification program. This type of training ensures that the program is compliant with all of the OSHA’s latest standards and regulations, and ensures that the safest practices are being taught and that workers are best prepared to operate forklifts safely. It also helps to prevent businesses from being fined by OSHA for non-compliancy and for putting workers at risk. Getting an OSHA-compliant forklift certification Tampa is the best way to be desirable to employers, qualify for higher paying positions, and to protect your life on the job. Get your Tampa forklift training today! CertifyMe.net is the number one online forklift certification in Tampa. Our forklift school teaches workers everything they need to know to operate forklifts safely and is 100% OSHA compliant. The program is self-paced, but it usually takes students only about one hour to complete. Re-certifications are always free and initial training costs only $59.95 per module. Workers can complete the type of forklift training that’s relevant to their job, not having to waste time or money on one that isn’t used in their workplace. With CertifyMe.net, you’ll enjoy the most affordable and accessible Tampa forklift training available anywhere. Go with the leader – call CertifyMe.net today! Skip the travel to a costly, offsite training facility. Complete your Tampa forklift certification online at home or during a lunch break at work on any device with the internet. Create an account and print your forklift certificate today for forklift certification Tampa! CerifyMe.net is here to help with all of your Tampa forklift training requirements. In just 5 easy steps, you’re on your way to OSHA compliance, and all the great benefits (job security, safer work setting, etc.) that go along with our forklift certification in Tampa. If you have any questions about our Tampa forklift training or need help figuring out your forklift certification in Tampa, give us a call at tel:1-888-699-4800.